The lives of a lot of silent film stars were tragic and short. Few, however, had the kind of extreme trajectory that Ruan Lingyu did: one of China’s top attractions at 21; dead by suicide at 24, after a career of only nine years. She lived a very public life. 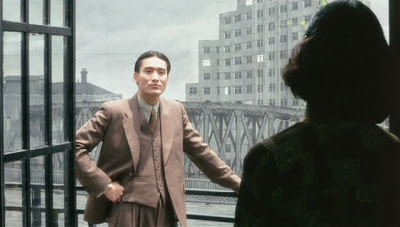 However, the question of what Ruan’s death meant to Chinese filmgoers is not an important one in Center Stage, director Stanley Kwan’s 1992 biopic of the screen legend, starring Maggie Cheung. What really matters, in this film, is what her death meant to her. Hounded by reporters hungry for scandal, made miserable by her disgraces even as her renown continued to grow, Ruan may have ended her life out of guilt. Or, the film muses, out of a sort of feeling of martyrdom—a need to free her many hangers-on, lovers and fans from the burden of their own adoration. Center Stage (also known as ‘Actress’) recreates an era in which China was at war both abroad and at home. Ruan was an agent of change herself: as her career flowered she formed alliances with directors whose work took on increasingly political overtones. In this period of instability, movie-goers might well have wanted icons more than mere performers, and she was both. Technology was in transition too. 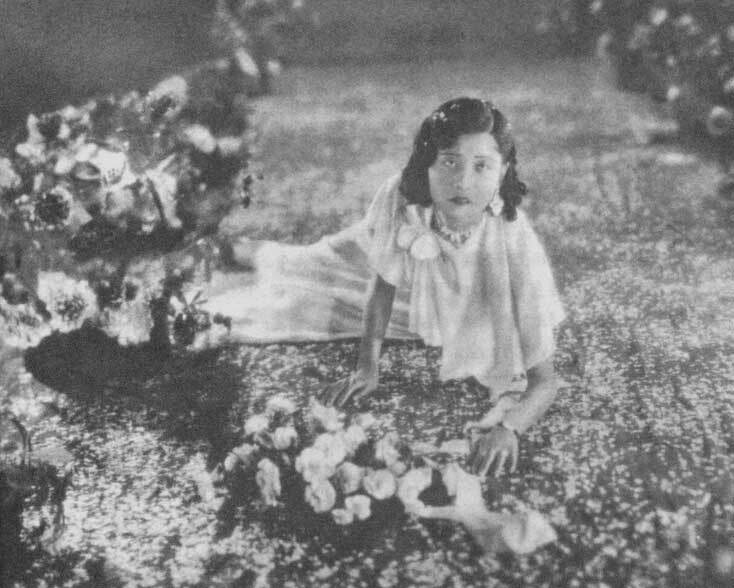 In the West, the Sound Era was definitively underway by 1929, but in China, silent cinema had several years of life left—about the same number Ruan did. Center Stage, then, to a Western viewer, can have a mythic quality—depicting a gauzy, indeterminate past where silent actresses thrive amidst the machinery and politics we associate with the talkies, dancing in Big Band halls while pantomiming onscreen. Within this world Ruan stands apart: an enigmatic, glamorous figure among dark-suited executives and directors—all of them men, most trying to control her in some way. None fully succeed in doing so. 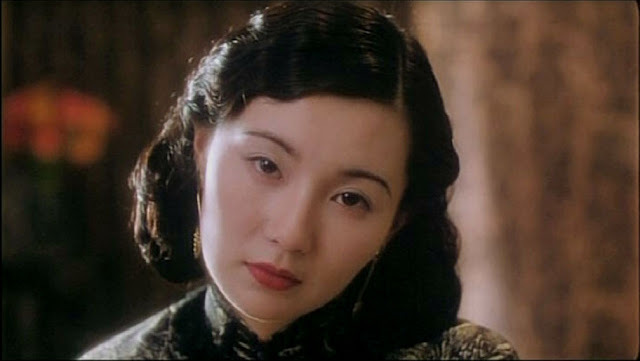 Cheung plays the actress as a sort of puzzle: Her Ruan commands a room, but holds those in it at a measured distance, often operating according to her own, unspoken rhythm. The puzzle of Ruan dictates the form and structure of Center Stage. Kwan and Cheung appear in the film as themselves more than once—with Cheung even asked how she, a well-known actress herself, would care to be remembered. We see interviews with people who knew Ruan, and real clips from her surviving films. Scenes recreating her performances occasionally dissolve into stills of the originals. All of this reminds us that every biopic is a narrative, bolstered by investigation—and in this case, the investigative part becomes part of the art. It also keeps Ruan apart from the viewer, even in her intimate moments. Everybody is trying to figure her out, including us. But is she a victim? The film seems unsure. Center Stage doesn’t stress Ruan’s vulnerability so much as her sensitivity; and while this sensitivity could make her vulnerable, it was also the mark of a great talent—one open to the subtlest elements of her environment. I liked an early scene in which young Ruan, stressed by domestic concerns, steps out into the winter night, kneels, and buries her face in the snow. She will use the feelings of coldness and isolation in a role to come. An equally valuable skill, of course, would be knowing when to shut this off. The film can be challenging to follow for someone unfamiliar with Chinese political (or film) history. I’m alright on both, and there were times when I felt the need to recalibrate. It doesn’t help (though it is necessary to show) that Ruan’s relationship with the men in her life blurred between the personal and the professional. In Center Stage, one’s marital status is not, necessarily, an indicator of whom one sleeps with, or even lives with. There are several phases in Ruan’s life, but they do not begin or end at obvious points. Perhaps she felt the same way about them. Cheung’s Ruan is a woman who lived her life on other peoples’ terms, but ended it on her own. It is not an inspiring message, exactly. But the film is an interesting one, and Cheung, as usual, delivers the goods. Center Stage screens at TIFF Bell Lightbox on Saturday June 22, 2013—part of the multi-film retrospective, A Century of Chinese Cinema.